WHAT: The Little 600 features a full field of NASCAR drivers competing for bragging rights utilizing GoPro Motorplex’s fleet of rental karts. 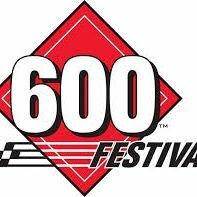 The night will kick off with the Lady 600 race. Both events offer fans unprecedented access to driver garages and up-close access to view the kart race firsthand. The event will include autograph opportunities, raffle prizes, food trucks ... See More and a kids’ zone. Scott Speed	Darrell Wallace Jr. WHEN: Tuesday, May 20 at 4 p.m.
*Schedule tentative and subject to change. If using a GPS, use address 801 Mazeppa Road to locate complex. Parking is available on-site for $10. To request media parking passes, contact Katelin Longbrake.